Triumph Motorcycles, British luxury bike maker, with popular models such as Bonneville, Street Triple, and Tigers to name a few, completes four years in India today, and to make the occasion even grander its being celebrated at the India Bike Week 2017. The iconic British brand has been delivering a complete riding experience in India since 2013 by creating motorcycles with a perfect balance of power, handling and style that involve the riders to bring out the best in them. Over 4,500 proud owners endorse the unique Triumph experience of bold design and purposeful engineering. Triumph is extremely delighted to be a part of the much-looked forward India Bike Week, 2017. It is a great way to associate with brands and network with renowned bikers to enhance their riding knowledge. The festival is also an adrenaline-charged music and lifestyle event adding a touch of entertainment to the entire experience. 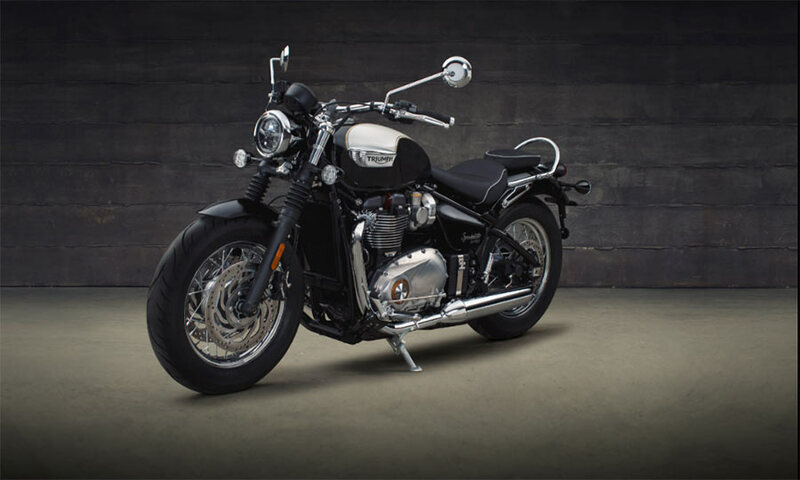 We unveiled an exciting new bike – The Bonneville Speedmaster and couldn’t have found a better platform than this to showcase it. Our hope is to keep making newer and better products and associations and to continue delivering on the high-standards which is the Triumph way of riding. Popular Indian film actor, Amit Sadh recently bought the all new Triumph Street Triple RS and rode to IBW, Goa where he was handed over the keys on stage by Mr. Vimal Sumbly. After his purchase, Amit Sadh commented. I am very excited and have been looking forward to owning a beautiful Triumph motorcycle. It was my pleasure to receive the keys from Mr. Vimal Sumbly. I am thrilled to a part of this great celebration for Triumph in India, my best wishes to all participants and aspiring bikers. 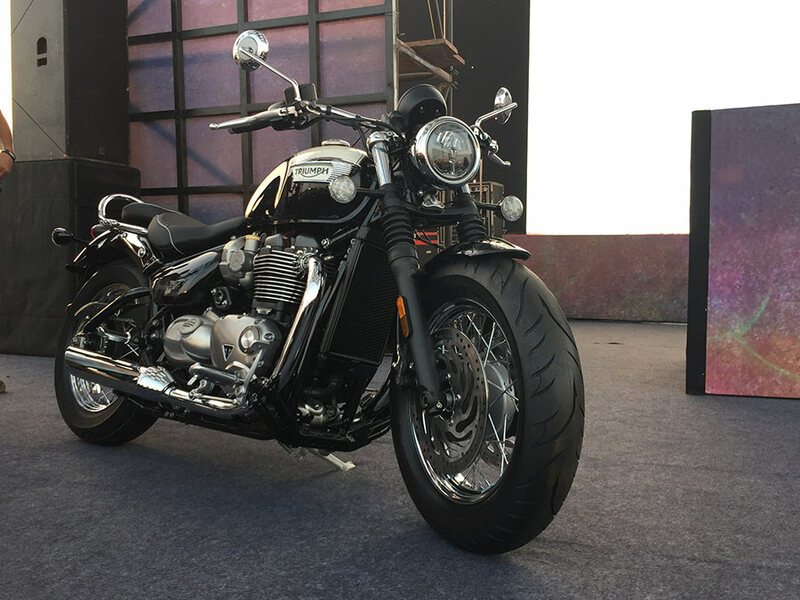 On completing four years in India around this time, Triumph geared up well to unveil its new bike – the all new Bonneville Speedmaster! With much more classic British custom, swept-back beach bars, forward foot pegs, low seat height, signature Triumph neutral handling dynamics all combine to deliver a superior ride. With over 130 custom accessories available through Triumph’s online configurator, riders can take their ALL NEW BONNEVILLE SPEEDMASTER to an even higher level of specification and capability! The Speedmaster will go on sale in India in the coming months. Triumph motorcycles the leader in adventure segment organised a Tiger Training Academy, a well curated event which was a major attraction at IBW under the guidance of veteran adventure rider and instructor Mr. Vijay Parmar. There were several biking enthusiasts from multiple cities who came together to experience the adventure biking legacy of Triumph Tiger motorcycles. An enthusiastic feedback from participants was the highlight of this one-of- its-kind event that encourages adventure motorcycling in India. 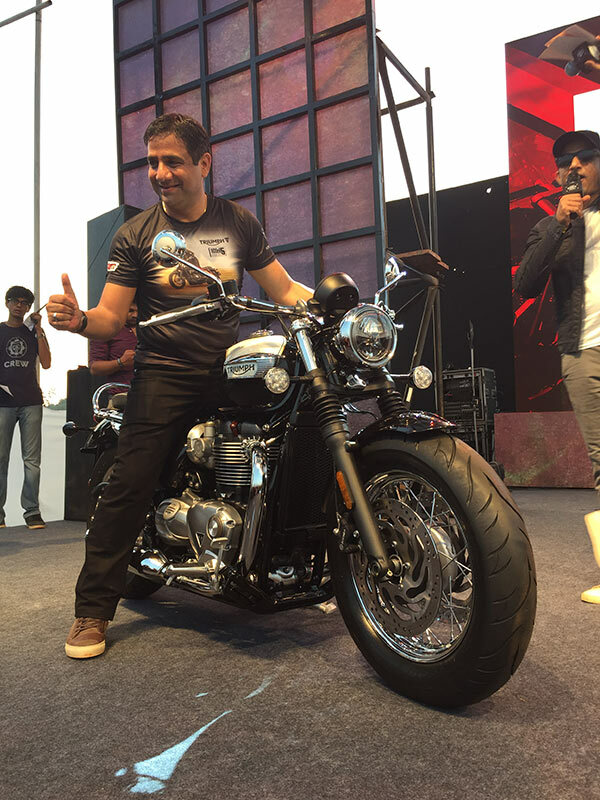 The India Bike Week 2017 saw close to 1000 proud Triumph customers coming from all across the country and most of them participated in the 4th Annual Triumph Ride organized by Triumph Motorcycles India. The riders promoted safe and responsible riding as a core message.